This product was added to our database on Friday 12 October 2018. Upon the high demand and many requests we have decided to again make a small extra production run of 10 models. So if you want one badly, order it today. 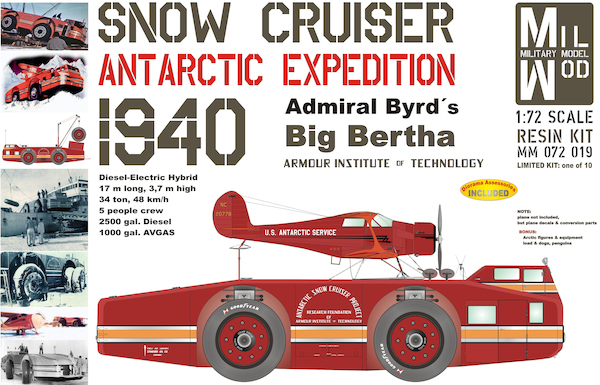 Very BIG resin kit of an enormous truck, Admiral's Byrds "Big Bertha"